Despite the realization that Richland APUs were released less than a quarter ago, AMD is already in full swing to release the next like of APUs, called Kaveri, based on an updated version of the Steamroller CPU. 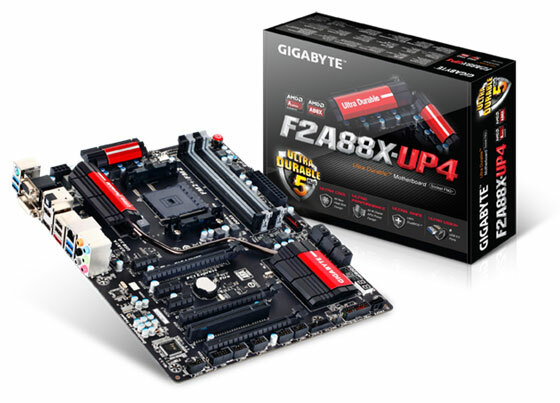 Of course a CPU is nothing without a motherboard, and with this new release we get a new range of motherboards from GIGABYTE, all using the new FM2+ socket and A88X chipset. The FM2+ socket is designed to be backwards compatible with Trinity and Richland (FM2) APUs, however FM2 sockets are not forwards compatible. 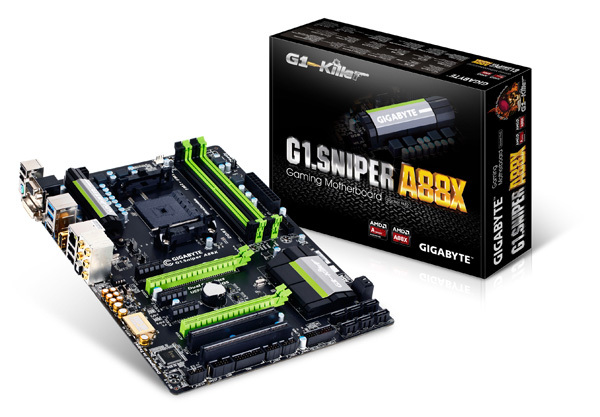 The main model in this list is the gaming oriented G1.Sniper A88X, which will offer a range of new audio features (USB DAC-UP, Gain Boost) as well as ones we have seen on the Intel G1.Sniper 5 (Haswell) like OP-AMP, special filter caps and signal separation in the motherboard. The other poignant member of this list is the F2A88X-UP4, which features 60A power phases (IR3550) for cooler running. Release date is expected at the same time as the AMD APUs – at the turn of 2013/2014. 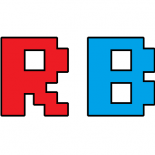 This entry was posted on 2013/08/17 by Ian Cutress in Motherboards, Technology News and tagged AMD, GIGABYTE, Kaveri, Motherboards, Technology News.